Preheat oven to 350 degrees. In a large skillet, cook bacon until extra crispy. Remove from pan. Leave about 2 TBSP of the bacon drippings. Sprinkle the chicken with the Lawry's Seasoning Salt. Heat pan with bacon drippings to med/high heat. Brown Chicken breast in bacon drippings for about 4 -5 minutes per side. Remove Chicken from skillet and place in a large baking dish. Top with bbq sauce, cooked bacon and cheese. Cover with aluminum foil and bake for 15 minutes. Remove foil and cook for 10 more minutes. Top with green onions and enjoy! 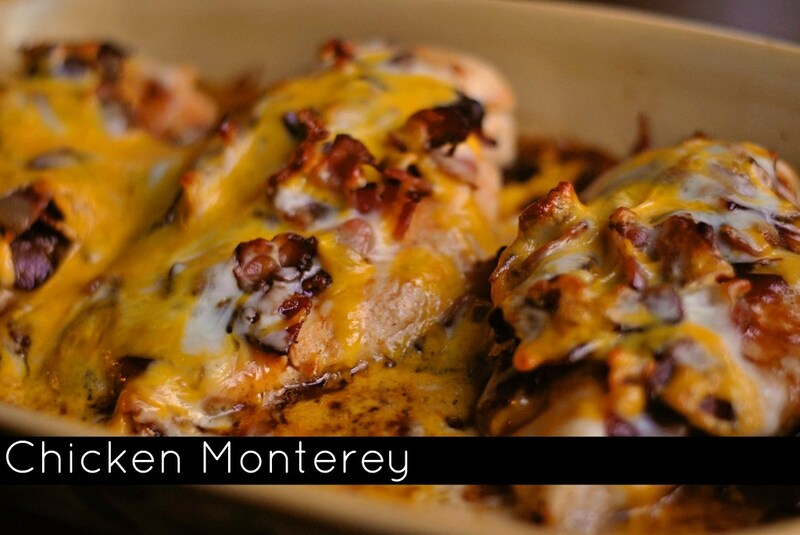 0 Response to "Chicken Monterey"